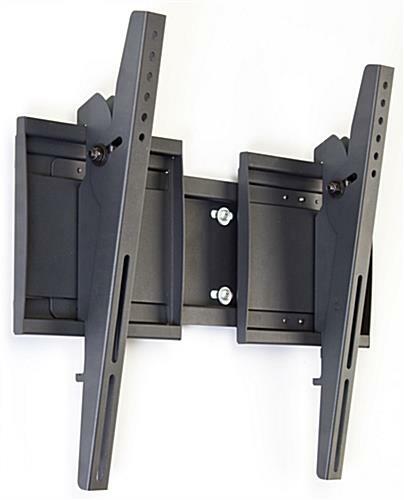 Buy Monitor Stand for 55" Flat Screen LED TVs In Bulk for a Universal Wall Mount to Display Your TV! This Monitor Stand Can Display a Plasma or LCD TV in Landscape or Portrait Orientation! View Our Massive Online Catalog Today to Order! TV Size Range: 23" through 70"
600mm x 400mm, & 600mm x 600mm. The monitor stand includes the necessary spacers, screws and washers to attach most televisions to the mounting arms, although some monitors may require specific screws that can be purchased at your local hardware store. This LCD bracket, monitor stand is great for users to place TVs in either landscape (horizontal) or portrait (vertical) formats. 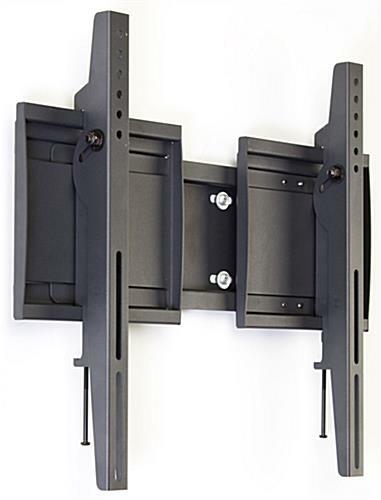 This plasma monitor bracket uses tilting arms that can be adjusted from vertical to a downward angle as much as 15°. Angling your television will provide a better view when your TV is mounted higher on a wall! This monitor stand has a universal design to hold most television sizes. The flat panel bracket is VESA compatible for 200mm x 200mm through 600mm x 600mm so it will support a wide array of television brands including NEC and LG. The quality monitor stand with bracket for 55" LED TV manufacturer has an adjustable wall plate as well, which allows larger monitors to easily be placed on the unit. To change the length of the bracket, simply loosen the screws on the back of the plate and slide the plate to the desired width and then retighten. This monitor stand, like an articulating plasma stand, has extending brackets that enable various sizes of monitors to be installed effortlessly. The display arms remain concealed when used on smaller televisions. 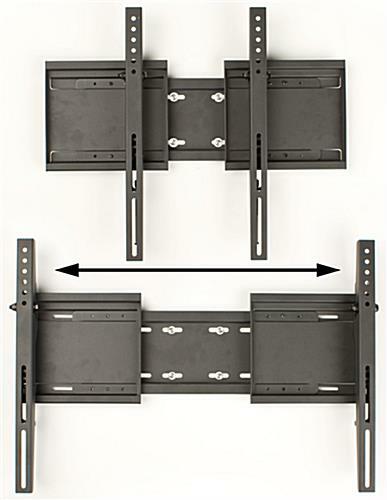 The extenders can be added if needed for larger monitors.